What Happens to Facebook’s Mind Reading Project Now That Its Leader Is Gone? 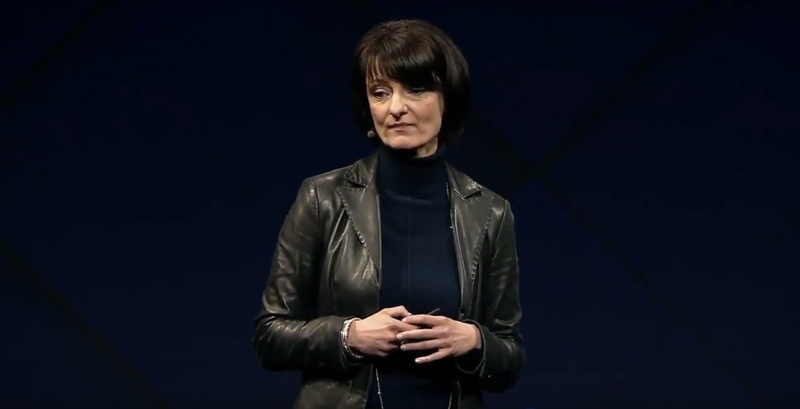 Regina Dugan, a tech exec with roots in the government sector as the former director of DARPA, is leaving Facebook and her departure calls into question the status of one of the craziest things Facebook has been working on. Fittingly, Dugan announced the departure in a post on Facebook today. If you’re unfamiliar with Dugan herself you may be familiar with some of the skunkworks projects she oversaw while managing Google’s secretive Advanced Technology and Projects (ATAP) group from 2012 to 2016. Those projects included Tango, a highly accurate augmented reality device packed into a phone, and Ara, the now scuttled modular phone that could have made your mobile hardware upgrades a whole lot cheaper. In 2016 Dugan left Google for another huge company with little consumer gadget experience: Facebook. At Facebook she ran Building 8, another privately funded research and development group like ATAP. The projects Dugan and her colleagues developed at Building 8 didn’t just include neat gadgets for the near future; they could have also led to enormous leaps forward in technology as a whole. The most noted project was one announced at F8, Facebook’s annual developer conference, in April. Called Silent Voice First, the project sought to allow computers to read your mind. Obviously that would make it easier to post to Facebook when your hands are busy, and it could be life altering for people with severe physical limitations, but it would also, you know, be a computer, run by Facebook, that READS YOUR MIND. Neither Dugan nor Facebook has made it clear why she’s departing at this time; a representative for Facebook told Gizmodo the company had nothing further to add (we’ve also reached out to Dugan). And Facebook has not detailed what will happen to the projects she oversaw at Building 8. Yet we might not have to wait too long to learn what comes next for Facebook’s skunkworks program. According to Business Insider, one of the first projects emerge from Building 8 is expected to be revealed in 2018. There’s little reported on what the project is, but it’s headed by noted drone expert Frank Delleart, and when he joined Building 8 in 2016 he intimated, via a blog post, that his work would be done by the summer of 2018. These has also been talk of a “video chat device” codenamed Aloha. But it’s also possible Facebook’s secretive Building 8 will follow in the footsteps of ATAP and fail to deliver its coolest experiments to real people. Beyond that, all we have is a prepared quote from Dugan that was provided to reporters, via Bloomberg’s Sarah Frier. There is a tidal shift going on in Silicon Valley, and those of us in this industry have greater responsibilities than ever before. The timing feels right to step away and be purposeful about what’s next, thoughtful about new ways to contribute in times of disruption. These aren’t exactly the words you want to hear from the woman overseeing the development of mind-reading technology for one of the largest private surveillance apparatuses in the world. But it is a good reminder for us all that the biggest leaps forward in technology, the next steps on our journey towards a Matrix or Star Trek-like future, are not necessarily in the hands of altruistic scientists with public funding, but potentially in the hands of enormous private corporations who seem to primarily perceive humans as commodities, and technology as inroads into our wallets and minds. In cases like that one would hope they’d be responsible.